A Senior Microsoft Unified Communications Consultant with more than 9 years of experience in Microsoft Exchange and Microsoft Lync Server / Skype for Business. Egyptian guy lives and works in Frankfurt - Germany. Worked Closely with Microsoft Dubai for 3 years designing , building and supporting Exchange and Lync Infrastructures. A Microsoft Certified ITP in Lync, Exchange and also attended Microsoft Partner Primer Filed Support Engineer T1 Training for Microsoft Lync 2010. 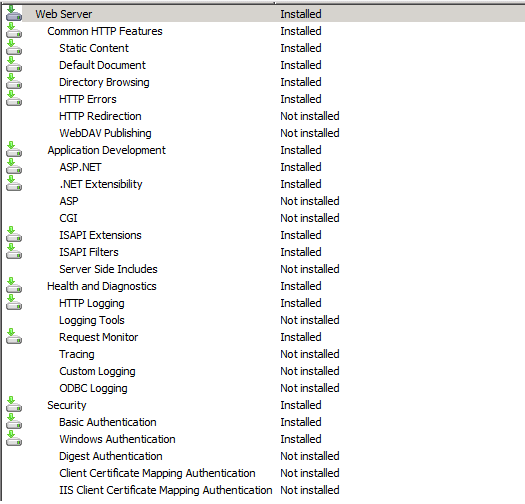 2nd Part – Installing Exchange server 2010 Rolls. in previous article we talked about Exchange Server 2010 Prerequisites, Now we will see how to install different Exchange server roll. in this guide, i will discus How to install Exchange 2010 , and how to update it to SP1 . the article will contain all the steps about how to do that. One Client access \ Hub transport server “CAS\HT”. First thing is Preparing your Server for the installation of Exchange server 2010 , run the following command lines for each of the Servers rolls. 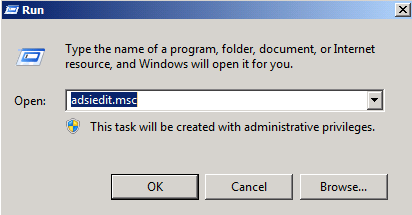 use the following command line to install the required windows features that are needed to install the CAS on windows server 2008 R2. The “-restart” in the end of the command line will reboot the server after the installation is finished. all other rolls will be a stand alone servers, so we can use the above command line for each roll. Active Directory Lightweight Directory Services. 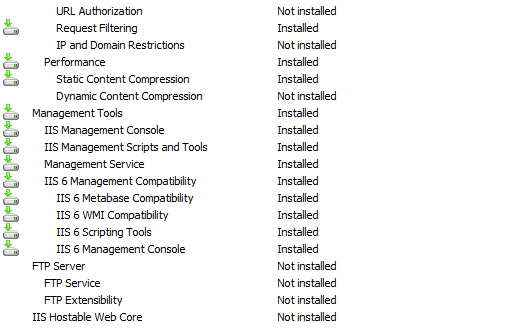 Now after preparing all the servers for installing Exchange server 2010 , it’s time to install Exchange server 2010. Can’t Install Exchange Mailbox Server role "Exchange is in an inconsistent state"
To be able to continue with installing the Exchange Server you need to Remove the Exchange 2010 server object in Active Directory. Connect to the Configuration Partition in Your AD site. Under Configuration Partition >> CN=Services >> CN= Microsoft Exchange >> CN=”Your Organization Name” >> CN=Administrative Group >> CN=Exchange Administrative Group >> CN=Servers. Delete the Exchange Server object that giving You the Problem. After Doing the Above , i was able to continue with installing the Mailbox exchange role. Author LyncdudePosted on April 26, 2012 October 20, 2014 Categories Exchange 2010Tags Exchagne2010, ExchagneServer, exchange, ExchangeMBX, MailboxServerLeave a comment on Can’t Install Exchange Mailbox Server role "Exchange is in an inconsistent state"
i faced a problem while creating DAG to My client, the problem was that i was Unable to add Servers to the DAG i created . Today while i was trying to configure my work Email account on my iPhone 4 and my colleague iPhone 3 .
configuration was ok , but when i opened the inbox on my iPhone it gave me an error says ” cannot communicate with the server ” . BlackBerry Device Does not Receive Meeting Invitation. I had a problem with one of my users regarding her Blackberry device , she was receiving meeting invitations as an Email not as a Meeting requests. Author LyncdudePosted on April 26, 2012 October 20, 2014 Categories Exchange 2010Tags Blackberry, exchange, Exchange2010, ExchangeServerLeave a comment on BlackBerry Device Does not Receive Meeting Invitation. All external emails coming to / and going out of my organization were not going through , after taking a look in the Edge and CAS/HT Server’s Event Viewer i found those two errors. As in Precious version of Clients , any phone Numbers stored in AD “Active Directory” phone Attributes using the E.164 formats will be displayed by Lync Client on both Contact Call menu , and contact card Details. For example the Pattern +97112345678901 is populated on the AD and will appear on the Lync Call menu and contact card. but if the Pattern is 0097112345678901 or 97112345678901, Lync server will fail to normalize it into E.164 and so , will not appear on the Lync Contact Card or call menu. In order to display Number formats that not E.164 , Lync Server will need to be manually configured to properly normalize those numbers. By default normalization is already enabled in Lync Server which can be verified by the viewing the Lync Server’s current Address Book configuration. the UseNormalizationRules Value should be Already Set to “True”. Now locate the Lync Server’s shared directory which was configured during the initial server deployment. The file server FQDN and share name can be identified in the Topology Builder under File Stores. Browse to the share directory on the server and locate the ABFiles subdirectory. Create a new text file named Company_Phone_Number_Normalization_Rules.txt in the ABFiles directory. This normalization rules file must be stored in this location and not down a few directories where the actual address book files are stored as it was in Lync server. this Normalization rule will remove the First two Digits (00) and Add (+) instead. to convert it to the E.164 formats. Save the changes to the Txt File and close it. this might take up to 5 minutes to happen. after 5 minutes sing out and sing in again to your Lync Client and the Phone numbers will be appearing in Lync Dial menu. To solve this Error you will need to Download the Certificate chain from your Certificate Authority , and install it in the Lync FE .